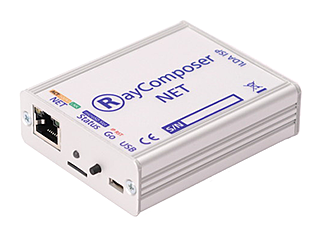 The RayComposer NET interface is a laser display output hardware (DAC) with LAN interface. It translates the digital network data of your computer into analog voltages to control the laser projector. 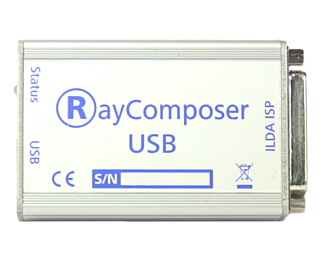 The RayComposer USB interface is a laser display output hardware (DAC) with USB interface. It translates the digital network data of your computer into analog voltages to control the laser projector.